LyLy Nguyen is an experienced lawyer and devotes her practice to estate planning, business formation, planning, and succession, asset protection, business litigation, tax representation, and bankruptcy. Ms. Nguyen specializes in developing asset protection strategies and works with clients and their financial advisors to plan and preserve their wealth for future generations. Ms. Nguyen’s areas of expertise include revocable trusts, irrevocable life insurance trusts, health care directives, durable power of attorney, family limited partnerships, limited liability companies, “S” and “C” corporations, chapter 7 and chapter 13 bankruptcy. Ms. Nguyen has extensive experience in handling all aspects of a tax controversy, which includes, audit, audit reconsideration, appeal conference, and litigation in the U.S. tax court. Ms. Nguyen also handles offer-in-compromise and settled tax debts for pennies on the dollar for federal and state tax liabilities. She represents clients in tax agencies collection actions and has negotiated the release of tax liens, levies, and seizures. Ms. Nguyen is licensed as an attorney by the State Bar of California (1996). Ms. Nguyen is licensed as an attorney by the State Bar of Washington (2018). Ms. Nguyen earned her Master of Laws in Taxation from Golden Gate University (2000). 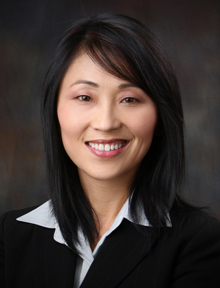 Ms. Nguyen earned her Juris Doctor Degree from Western State University (1994). Ms. Nguyen earned her Bachelor of Business Administration majoring in Accounting from Stetson University (1989). Ms. Nguyen serves on the Board of the Asian American Business Women Association, a non-profit organization, whose mission is to empower and inspire women entrepreneurs. She is a member of the Trust and Estates Section, Tax Law Section, and Commercial Law and Bankruptcy Section of the Orange County Bar Association. She is also a member of the National Association of Consumer Bankruptcy Attorneys. Ms. Nguyen is fluent in the Vietnamese language. She writes legal articles in Vietnamese which is published weekly in Nguoi Viet Daily News, the first and the largest daily newspaper published in Vietnamese in the United States.